I’ll be honest, it seems to be more of a European drink. When I mention shandy to my friends I get one of two reactions; a confused look or a turned up nose. I’m not really sure why the bad rap. Maybe because the version Americans have been exposed to the most are the mass manufactured, pre-bottled, come in a 6-pack variety. I’ve had some of that and let me tell you it almost ruined shandy for me for good. For a long time I thought that all shandies were just weird tasting beer with an odd aftertaste. On a whim, I decided to revisit the shandy this summer. What actually happened was one of my kids decided to set up a lemonade stand not realizing that we had no cups and no change, which are two key items needed to run a successful lemonade stand. We did however have some lemonade mix and a few lemons sitting around. They’d made up a whole gallon of lemonade before realizing the no cups and no money situation. For a food curious gal like me it’s a natural progression of events that I would do some experimentation with our excess of lemonade supply. Let me tell you, I was stunned to discover that freshly mixed shandy is actually delightful! Add strawberries and it’s doubly refreshing and delightful! What started as lemonade experiments has turned into a full on obsession for me. 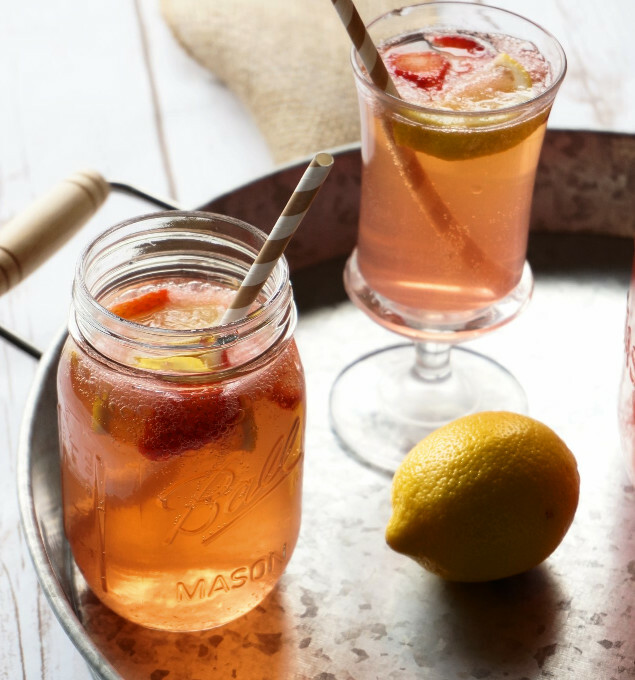 With tart sliced lemons and sweet fresh strawberries, this drink is pure sun-kissed lazy summer days in a glass. I could sip on it all evening long and not get tired of it and also not suffer any adverse effects from it. This thirst quencher though technically an alcoholic drink, when mixed has a very, very low alcohol content. In fact, in some areas the low alcohol content of shandies makes them exempt from laws governing the sale of alcoholic beverages. If you needed another reason to give shandies a try, how bout this? They are easy on your wallet. It’s cheap to put together, sometimes referred to as “poor man’s champagne,” and costs only a few dollars unlike some summer cocktails. So mix up a pitcher of lemonade, crack open a cold one, discover the beauty of a simple strawberry lemonade shandy and put your feet up darling! 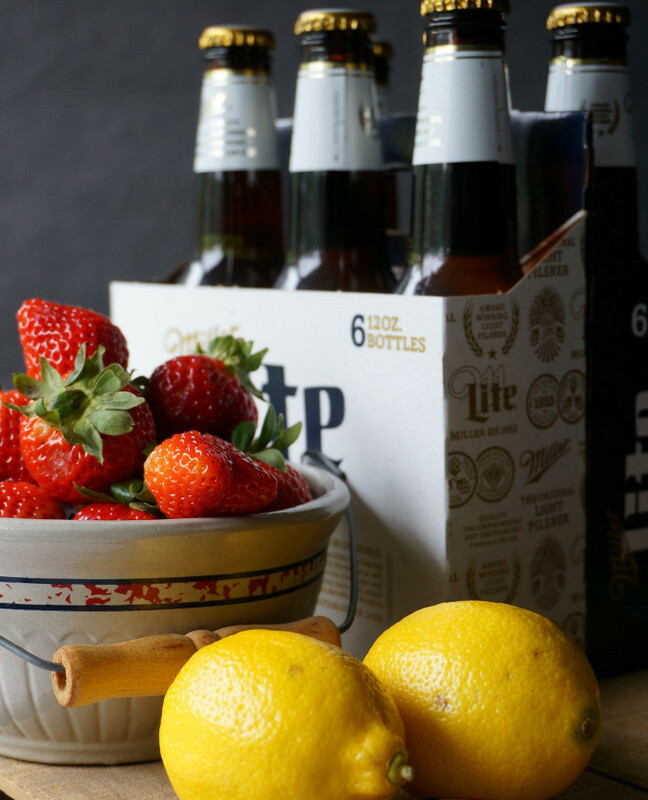 With tart sliced lemons and sweet fresh strawberries, Strawberry Lemonade Shandy is pure sun-kissed lazy summer days in a glass. 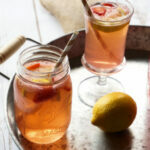 Prepare your strawberry lemonade. Add the strawberries and lemons to the lemonade. Mix 50/50 with cold beer and serve. I think you’ve convinced me to try out a shandy–I’ve never had one! This recipe sounds like something I would enjoy, though! I’m visiting from Frigg.com where I’m Lara_Quinn cause I wanted to say hi. I’ve been known to throw together more than a few jugs of raspberry lemonade but never strawberry. The blueberry pie you posted looks lovely as well. I started my internet food posting on LiveJournal as A_Boleyn and things evolved from there. These days, I’m cross posting to a blog on WordPress too. Oops … just realized you didn’t post the blueberry pie that I mentioned. 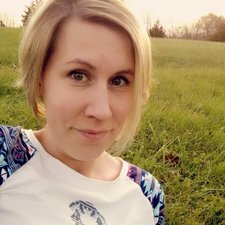 A_Boleyn, thanks so much for stopping by to check out my site! I knew exactly what blueberry pie you meant 😉 It was actually for a a guest post on another website, http://www.encourageyourspouse.com. Two blogs, I don’t know how people can manage more than one website! This one keeps me busy. I absolutely love shandy, but I’ve never made it at home! Yumming and pinning.Thanks for sharing, and glad to meet another MO blogger! I love this shandy! I think I will try it with a nice gluten free Irish cider! Yummed! I think that I first heard of them reading some book set in the UK or something. I never would have thought of lemonade and beer being good together either, but it is! Hope that you enjoy it, Misty! Sounds like an interesting thing to do with the last of our strawberries… Out here in Hungary, most of the major manufacturers have some ‘fruit beer/shandy’ in their stable of produce. Brian, it would be an excellent thing to do with homegrown strawberries. I am live in the rural Midwestern United States. We have two grocery stores, and one choice of manufactured shandy. It is definitely not my thing, the store bought stuff. But this I love. 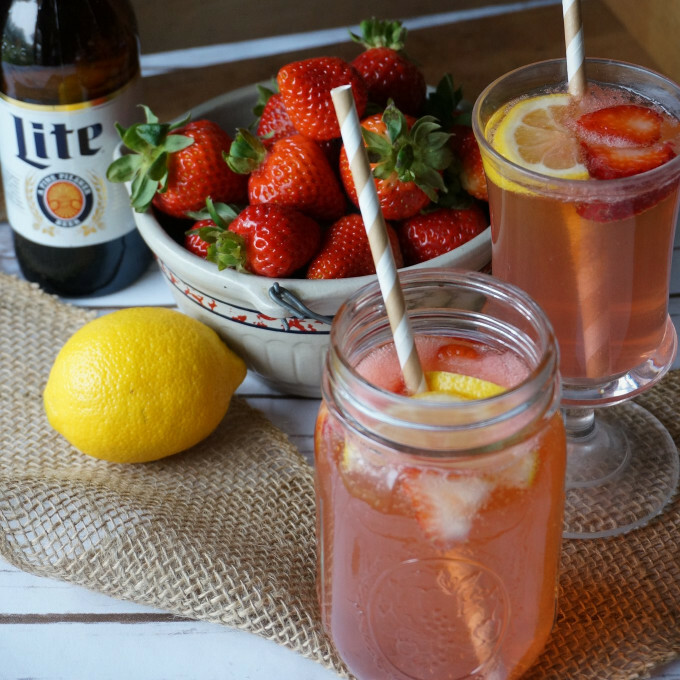 A shandy to me always has consisted of beer, lemonade with the addition of lemon… so I must try something new and try out your non-alcoholic strawberry version. 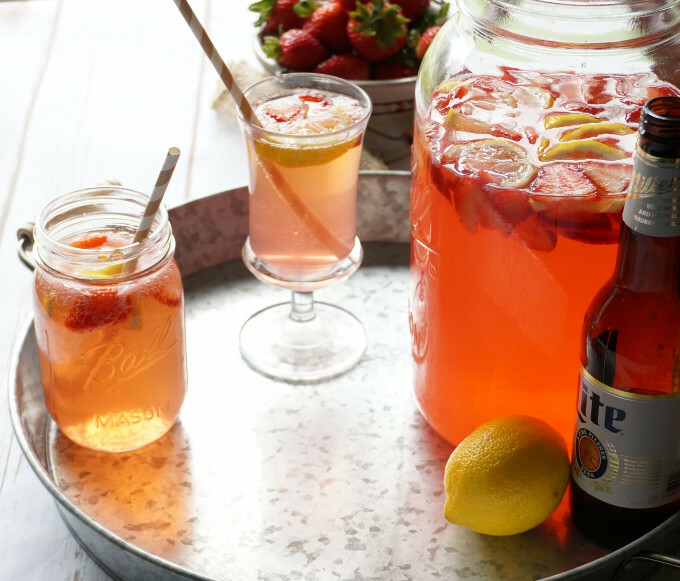 Looks light and refreshing – so perfect for Summer!